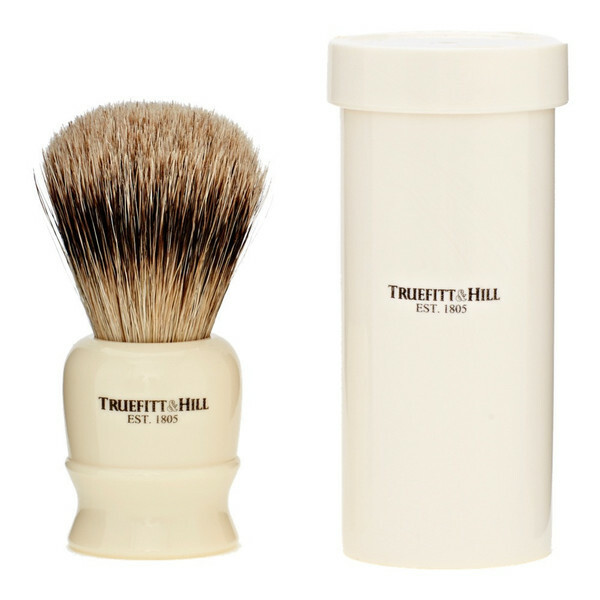 The Tube Traveller Shaving Brush in faux ivory from Truefitt & Hill offers luxury on the go. When traveling, grooming accessory must pack well. Enter the Tube Traveller Shaving Brush from Truefitt & Hill. 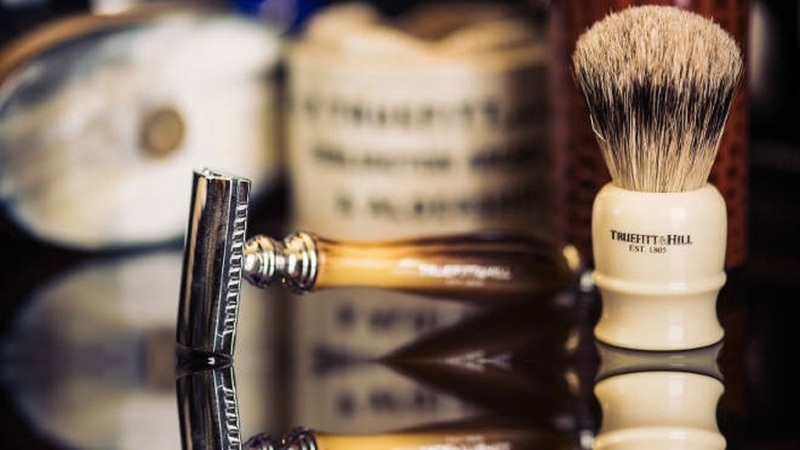 Truefitts’ badger haired shaving brushes are hand-made in the UK with the finest quality super badger hair. The fibrous natural bristles of the badger haired brush hold significantly more water than their synthetic equivalent, making badger haired brushes the best accompaniment to your shaving ritual. Brush comes with protective travel tube and brush-care instructions. William Francis Truefitt first opened the doors to the brand’s original barbershop back in 1805, some 210 years ago. George III was on the throne, Nelson had just defeated Napoelon at Trafalgar, and the Industrial Revolution was just kicking off. No-one can argue with its position as Oldest Barbershop in the World in the Guinness Book of World Records. Commercial production of the products began in 1878, and Truefitt & Hill products were even found in the wreckage of the Titanic when it sank in 1912 – now I bet you can’t say that about your current cologne!